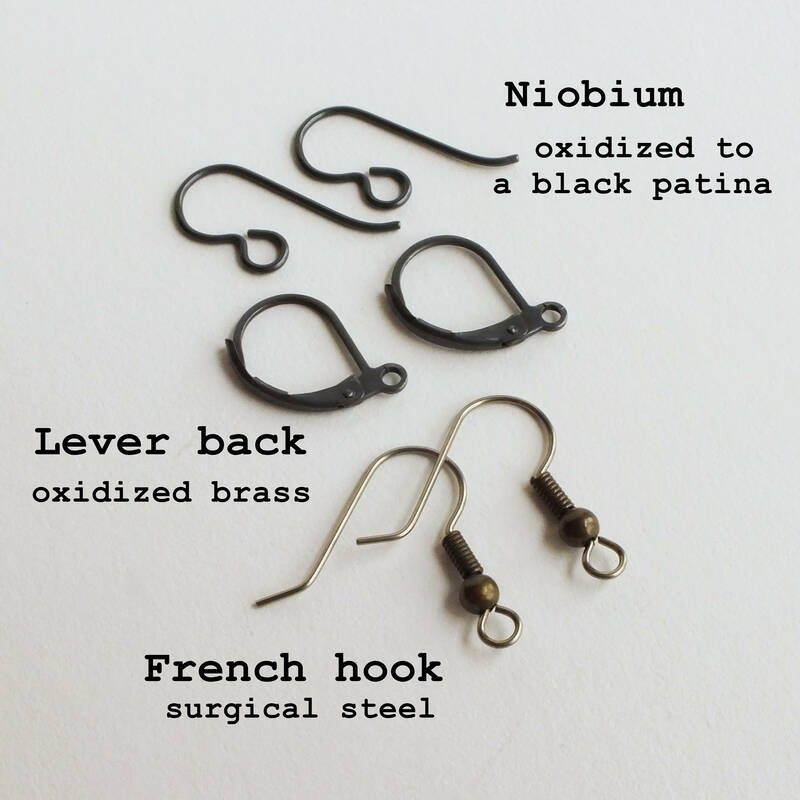 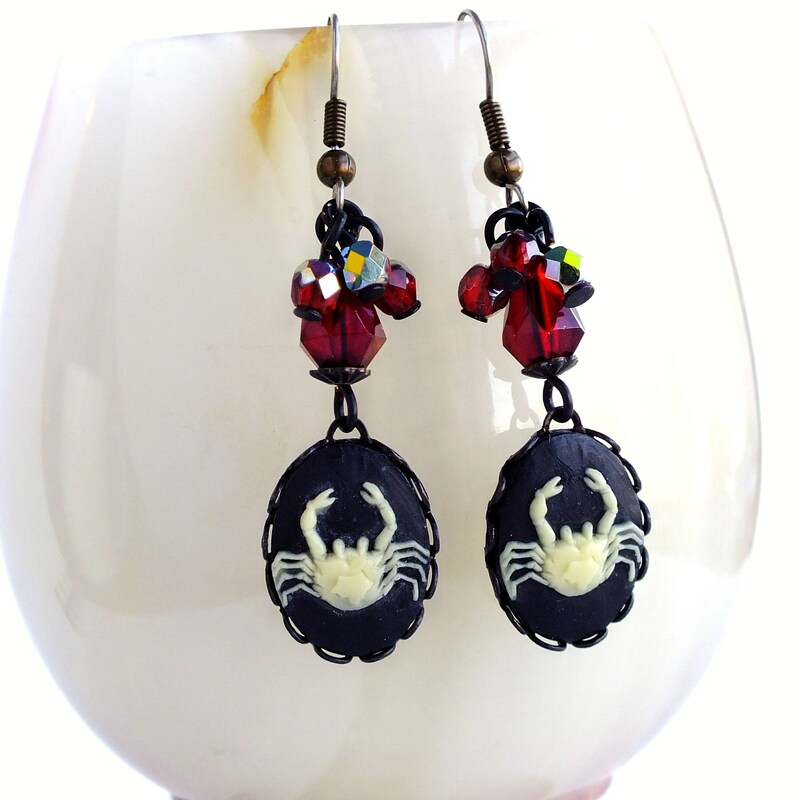 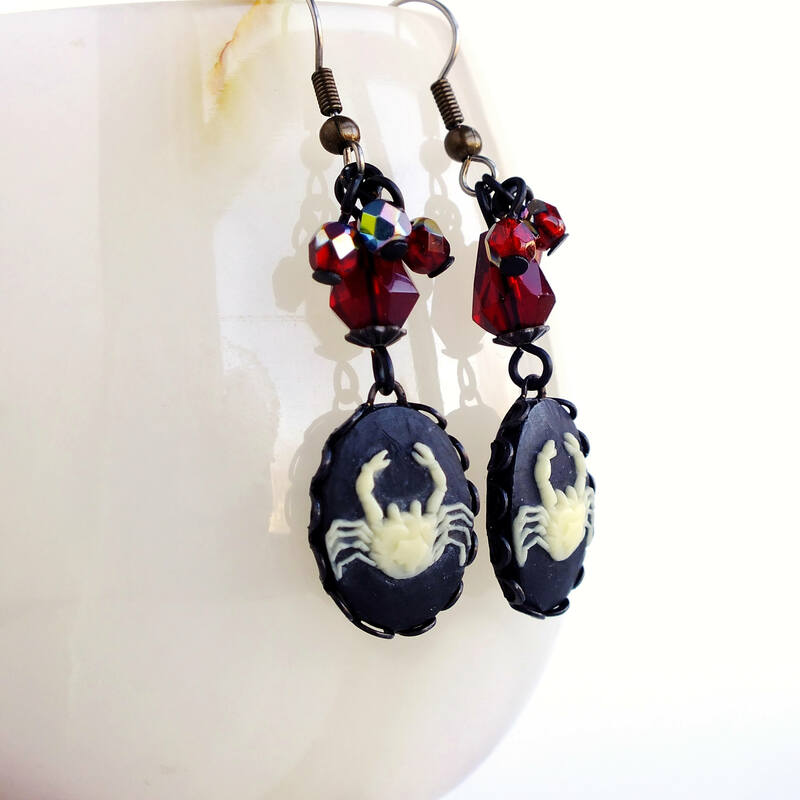 Victorian handmade cancer zodiac earrings with vintage astrology cancer crab cameos. 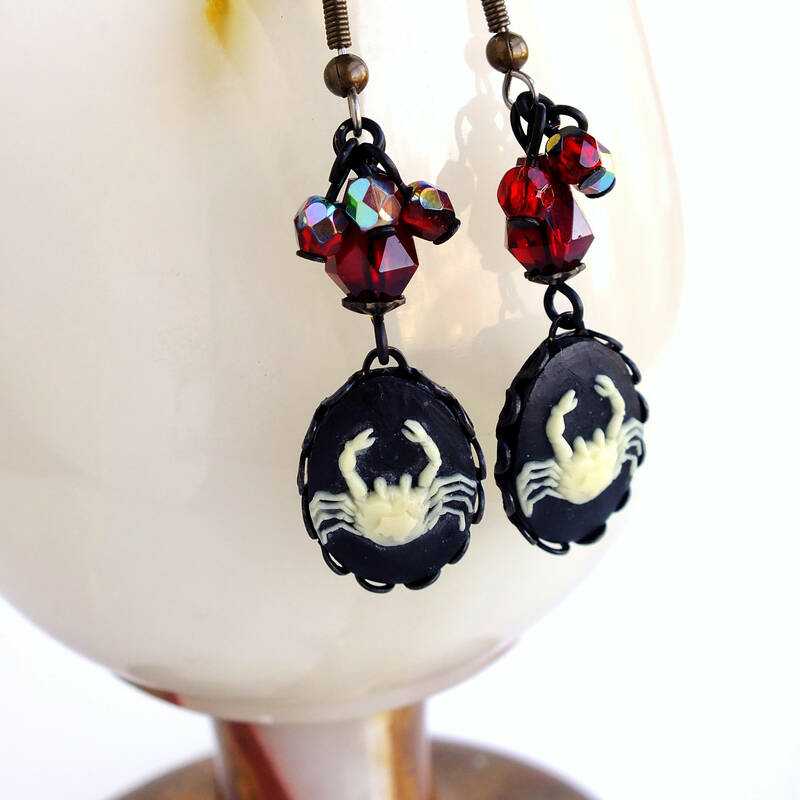 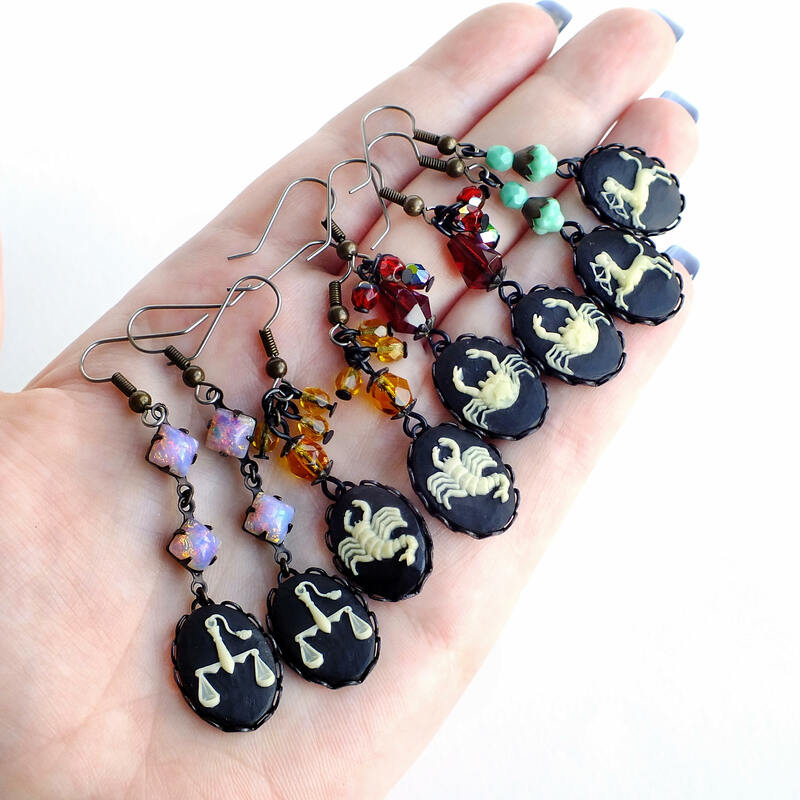 Victorian astrology earrings made with gorgeous genuine vintage resin cameos carved with tiny detailed crabs. 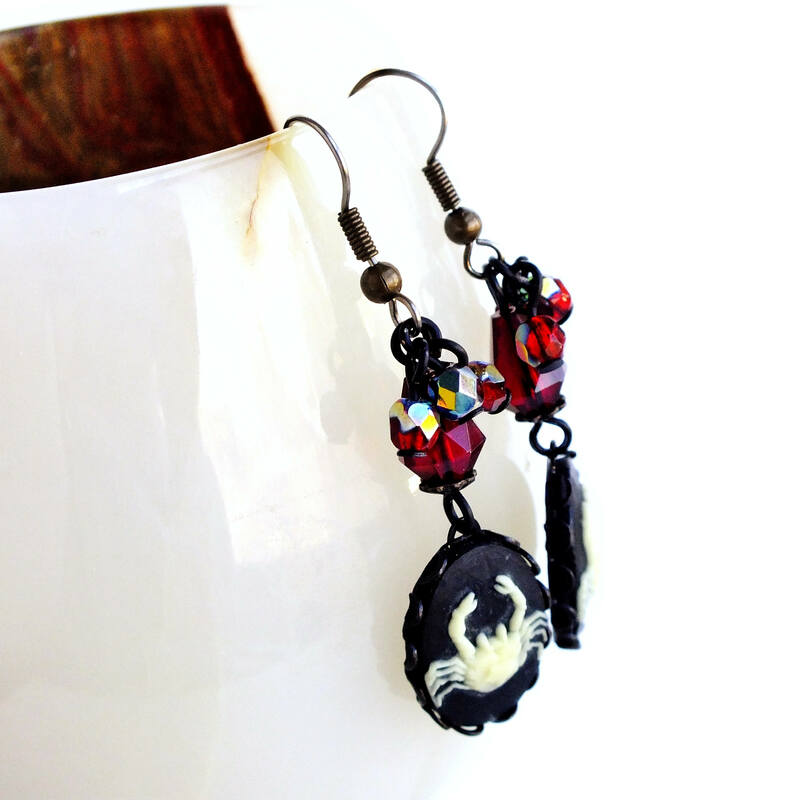 Set in black oxidized brass adorned from sparkling iridescent ruby red Czech glass beads.